The Holy Spirit Lutheran Church in the city’s south neighbourhood of Malmo Plains is launching an “anti-hate” letter writing campaign after two Edmonton mosques were targeted by hate groups last month. An Edmonton church is asking Edmontonians to condemn Islamophobia with letters of love. The Holy Spirit Lutheran Church in the city's southwest neighbourhood of Malmo Plains is launching an "anti-hate" letter-writing campaign after two Edmonton mosques were targeted by hate groups last month. "We just knew there were so many people in Edmonton who have love in their hearts for our Muslim neighbours here in the city and we wanted to give them a chance to show that," said associate pastor Lindsey Jorgensen-Skakum. "We need to overwhelm any voice of hate with so much love that it knows that it has no place to dwell in this community." A pair of men walked into the Al Rashid Mosque on Jan. 25 and confronted people in the parking lot as they arrived for Friday prayers. One man was wearing a toque printed with the Arabic word for "infidel." Edmonton Police Service said the men belong to a group known to them. The hate crimes and violent extremism unit was consulted and is monitoring the group's activities, police said. A few days later, another mosque in southeast Edmonton, received a hate letter which warned Muslims not to "overstay your welcome." The letter, delivered to Markaz Ul Islam Mosque on Jan. 30, urges the mosque to "close down your fake worship house and leave or accept Jesus as your one true god." The Alberta Muslim Public Affairs Council, which posted the letter to its Facebook page, called the letter a "flagrant display of white supremacy." Jorgensen-Skakum described the incidents as horrifying. "As a pastor, it really breaks my heart," she said in an interview Thursday with CBC Radio's Edmonton AM. "I think it's on the Christian community to say that we love our Muslim neighbours. And I'm happy to do that today and in this campaign." It's a hard place to be when your worshiping space is infiltrated. - Lindsey Jorgensen-Skakum. The congregation is hosting a letter-writing event called Spread the Love on Friday from 7 p.m. to 9 p.m. All are welcome to attend. The letter-writing campaign, launched in partnership with Al-Rashid Mosque and Hate Free Yeg, is both a show of support and a call to action, Jorgensen-Skakum said. "We're going to write letters to our elected officials, to those people in charge of helping our city become a safe place for all, advocating on behalf of our Muslim neighbours that we want to see these incidents of hate end. "It's a hard place to be when your worshiping space is infiltrated and you're wondering if you're safe." 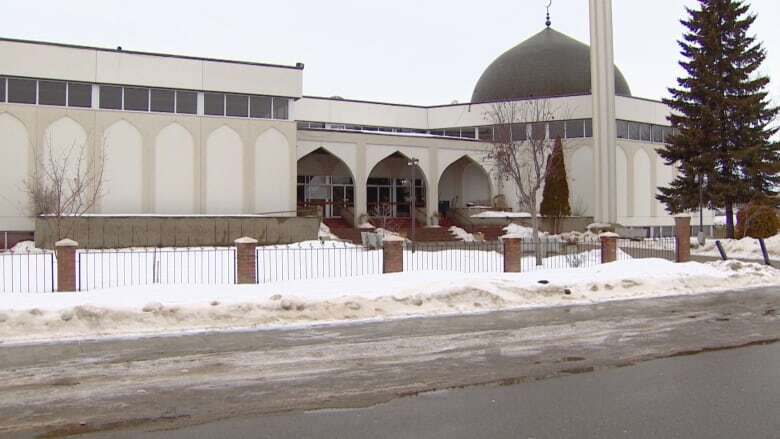 Al Rashid, built 80 years ago as the first mosque in Canada, is located at 132nd Avenue and 113th Street in the north Edmonton neighbourhood of Lauderdale. Outreach Imam Sadique Pathan said the campaign shows his members that they are valued members of the community and he's grateful for it. "We are one Edmonton and that's not going to change," Pathan said. "We are really very grateful and humbled by the Lutheran community and certainly it's a great message that I will be relaying to the Muslim community."